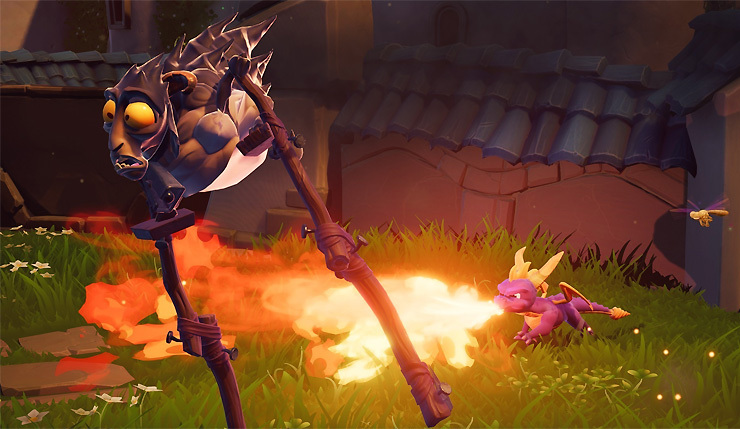 Believe it or not, Spyro the Dragon turns 20 later this year and Activision is celebrating two decades of purple dragon pyrotechnics in a big way with Spyro Reignited Trilogy. 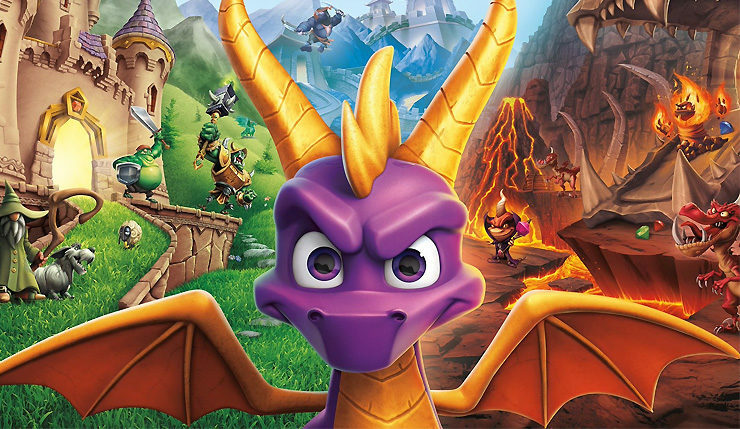 Following in the footsteps of the Crash Bandicoot N. Sane Trilogy, Reignited is an ultra-lush HD revamp of the first three Spyro games, but is this another successful retro remastering? At E3 2018 I got to go hands-on with Spyro Reignited Trilogy, and the answer is an unequivocal yes – in fact, Spyro’s big return may be even better than Crash’s. 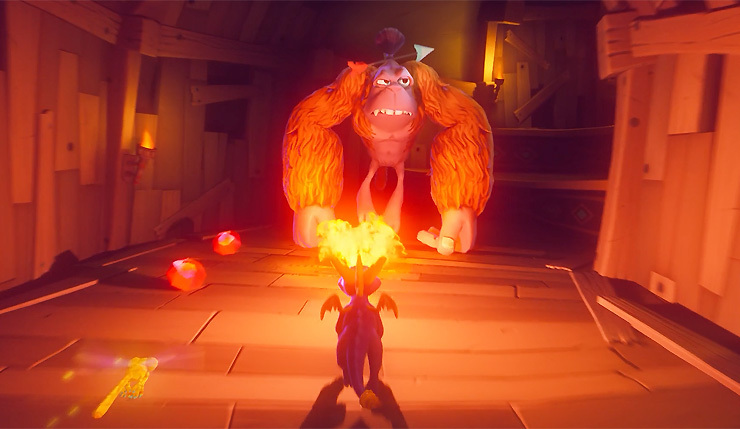 The first thing you’ll notice when booting up Spyro Reignited Trilogy is the fantastic job developer Toys for Bob (Skylanders) have done with the game’s visuals. This may be the best-animated 3D cartoon-style game I’ve ever played. We’re talking Pixar-level stuff here. 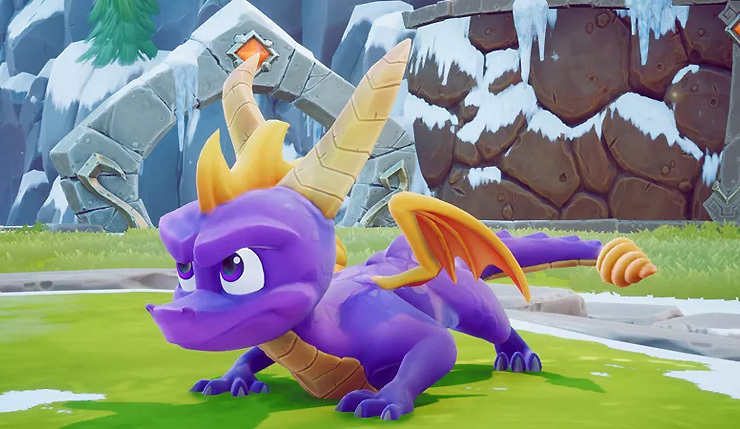 Levels are colorful, richly-detailed, and packed with fun details, like grass that can be realistically trampled or scorched with Spyro’s fiery breath. I’ll admit, I’m relatively jaded about graphics at this point, but I had to spend a solid five minutes at the beginning of my demo just taking in how pretty this game is. The next thing you’ll notice, is how good the controls feel. Spyro has a nice, satisfying sense of weight and momentum as he gallops along, and his jumps and attacks all feel just as they should. That said, Toys for Bob has also made some much-needed tweaks, most notably the addition of full camera control via the right analog stick. But don’t worry, the game’s developers assured me that cranky purists can still opt for an old-school setup where the camera is entirely controlled with the shoulder buttons. I also have to give a quick nod to Spyro Reignited Trilogy’s audio. The soundtracks for all the games have been completely redone and made more dynamic, with, for example, extra instrumentation being added during enemy encounters and boss battles. Dialogue has also been totally re-recorded, with fan-favorite voice actor Tom Kenny (Spongebob, Adventure Time) now playing Spyro in all three games. The first level I took on was Toasty, the immediately-recognizable first boss stage from the original Spyro the Dragon. The stage pits you against a succession of shepherds and shaggy sleeping dogs in a picturesque castle environment, culminating in a battle against a scythe-wielding boss, who happens to be the sheep all those shepherds are looking for in disguise. Toasty is an easy stage, but it was a great way to get my bearings after not playing a Spyro game in nearly a decade. Next up, I tackled Tree Tops, once again from the original Spyro, which is infamous for being one of the more difficult stages in the series’ history. As the name implies, the stage takes place in a perilous tree-top village and requires the player to pull off multiple long-range jumps using supercharge ramps. I’ll admit, I plunged to my death a few times, but I had nobody to blame but myself for that – Spyro’s jumping and gliding mechanics felt spot on. Finally, I got a chance to play the classic flying stage, Sunny Flight. I’d forgotten just how demanding these stages can be. You have to blow up multiple barrels and enemy planes, fly through arches, and collect hidden chests, and you have a very limited amount of time to do it all. Practice and planning that perfect path is essential. Honestly, I didn’t even get close to succeeding, but I was still having a ball soaring around. Spyro’s flying levels are perfect “one more try” lazy Sunday gaming fodder. The three stages I tackled kept me more than busy for my 45-minute demo, and, let’s not forget, Spyro Reignited Trilogy contains three full games! Needless to say, you’re getting a ton of content for $40. Buy this one for your kids, and you won’t have to get them another game for six months. I’m calling it – Spyro Reignited Trilogy looks to be shaping up to be even better than Crash N.Sane Trilogy. Of course, some of that can be chalked up to the source material being superior. Okay, okay, that’s subjective, but there’s no denying that classic Spyro is a bit more open, more modern-feeling, than Crash. Those who found N. Sane Trilogy a bit too punishing should feel more at home here. Spyro Reignited Trilogy delivers plenty of warm, toasty nostalgia, but it isn’t just for old-school fans. Anybody looking for a light, fun, accessible, and absolutely gorgeous platformer should be fired up about this one. Spyro Reignited Trilogy glides onto Xbox One and PS4 on September 21.